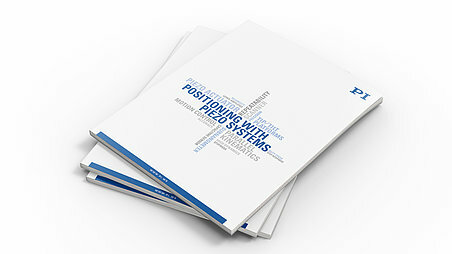 The new catalog for piezo positioning from PI (Physik Instrumente) is 240 pages strong. The catalog shows all available standard products that use piezo actuators as their drive principle. The broad product portfolio ranges from simple, housed piezo actuators, with or without preload, to lever-amplified piezo actuators, or 6-axes-scanners with subnanometer precision position sensors. OEM drives with PiezoWalk® technology and capacitive position sensors supplement the portfolio. In addition to the standard products, PI shows examples of custom developments and solutions for specific markets. The large number of piezo controllers and drivers available for the most different application scenarios allows for high-precision positioning and high-dynamics, high-power applications.For applications in microscopy, special packaged solutions are described which can be integrated into the hardware or the software of appropriate microscopes of leading manufacturers. Also included in the catalog is an overview of the core competences of the PI Group as supplier of precision positioning solutions for industry and research. 3-D models, manuals, datasheets, ordering information for individual products, and additional information can be found on the PI website at www.pi.ws. Download the catalog or request the printed document.